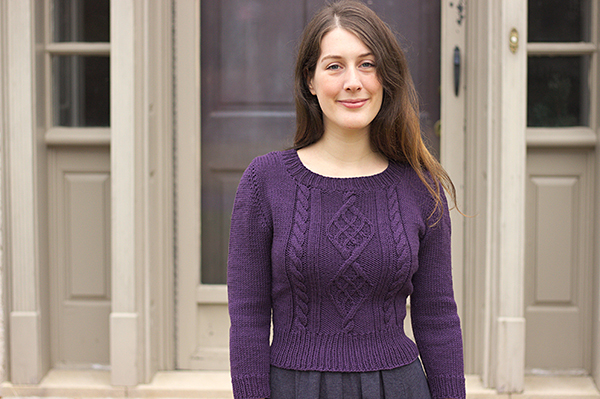 Chuck is a pattern by Andi Satterlund, from whom I had already knitted the Miette cardigan. Of all her patterns, Chuck is definitely the one that caught my eye the most, thanks to the lovely versions by Lladybird, Tassadit, Slania, not to forget these two versions by Dolly Clackett. I started knitting this sweater in September 2015, right after I finished Miette… Which means it took me more than two years to finish it! Yet this pattern is neither difficult nor long to make, since it’s knitted in 5mm needles, with a cropped length and 3/4 sleeves. No seams either: it’s knitted seamlessly from the top down. 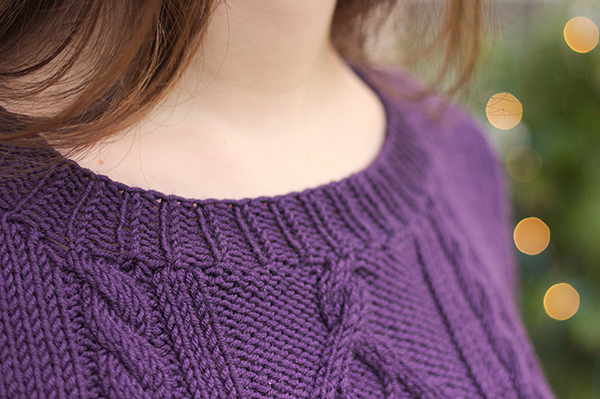 The shoulder construction is different from the one used in the Miette cardigan, but it’s just as easy to follow. 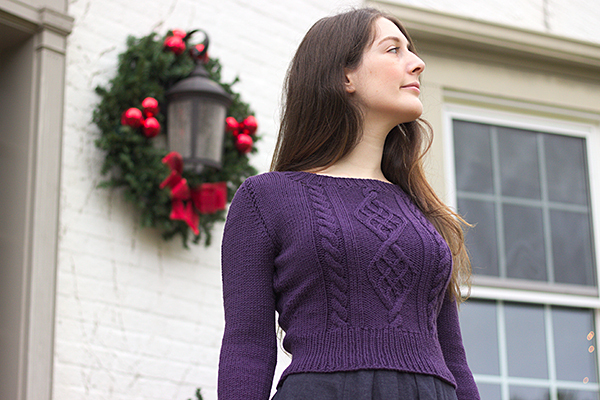 This one uses short rows to shape the sleeves at the shoulders. The junction between the bodice and the shoulders is very visible, which annoyed me at first. I thought maybe I was using the wrong technique to pick up stitches, or to do the short rows, but comparing with other versions I’m thinking it’s just how the pattern is, and in the end it doesn’t look that bad. The heart of this pattern is the cable panel down the front, which requires following in parallel the grid for the middle one (which has no repeats) and the grids for the two simpler cables on each side, which repeat over 6 rows. This part I did without watching TV at the same time, to make sure I wouldn’t make any mistakes, but in itself it’s not that hard. I followed the instructions for size M, and just made two tiny changes. First, I lengthened the sweater slightly. Andi Satterlund’s cropped sweaters and cardigans are very short, since they’re supposed to be worn with high-waisted skirts and dresses, but I have a long torso and on me they are really cropped. 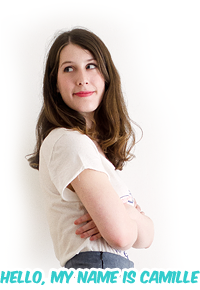 I don’t wear my Miette cardigan that much, for instance, because with most of my high-waisted skirts I ended up with some space between the skirt’s waistband and the bottom of the cardigan. So for this one I lengthened the bottom ribbing by 5 rows, without changing the cable panel since I wanted the cables to stay symmetrical, and that was enough to get the right length. Second, instead of following the number of stitches to pick up for the neckband, I picked up two out of three stitches. This was just because I was feeling lazy and didn’t want to do math, but it worked great. The yarn is the Worsted Merino Superwash from Plymouth Yarn, which I had bought in a local yarn shop when I was living in North Carolina. 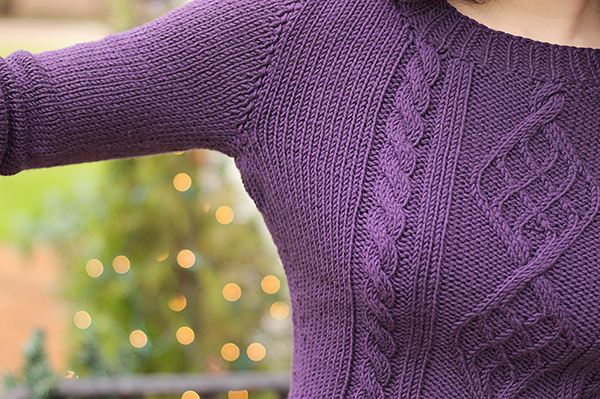 It’s 100% merino, so it’s warm and comfy to wear and really nice to knit. This yarn is just slightly shiny and the stockinette stitch and cables look really neat and clean in it, I’m really happy with my choice. I used exactly three skeins, and I mean “exactly” since I had only a couple meters left over at the end. I was so afraid I was going to run out in the middle of the neckband that I spent the entire second sleeve weighing my yarn ball every two rows! That said it’s easy to forget about it, especially since the sweater fits great otherwise. The back fits like a glove, and the sleeves are super comfortable. 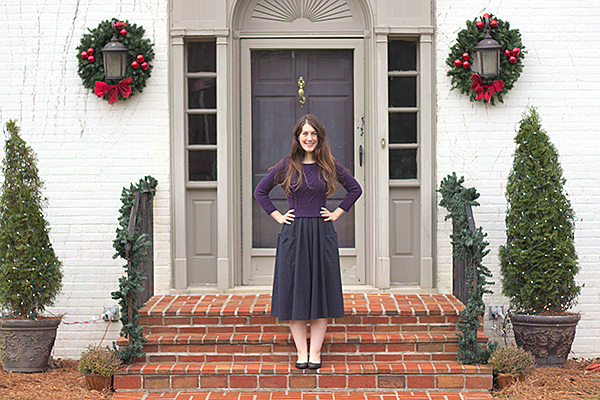 Lovely jumper and great skirt (with pockets…). I assume you sewed it yourself? What’s the pattern? I did! It’s this pattern from the May 2011 Burda magazine issue. You can see more pictures in this blog post (sorry I haven’t translated this one to English). The main change I made was to add buttons to close the pockets because I thought they looked a little strange open. 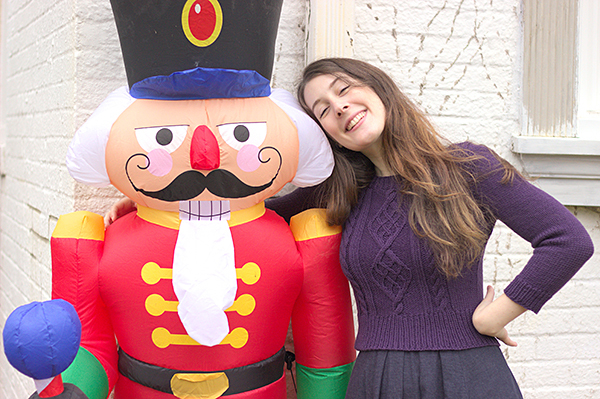 This is hands down my most worn sewing project ever, I highly recommend the pattern! Your sweater is brilliant, and I absolutely love the colour. Purple for the win!! Thanks! My sister has a copy of it…I’m going to try it out.